The innovation of science and science has promoted our convenient life. We have regularly viewed our cheap barcode scanners which used for barcode information recognition and acquisition to help the administration in a number scenes such as libraries, convenience stores and supermarkets. The wireless handheld barcode scanners undertake our own scanning science which can shortly examine 1d barcode scanners and 2D barcodes even they are distorted or defected. The excessive efficiency, convenient to operate, and sensible characters make Shangchen scanners substantially decreasing the queue time when checkout, additionally imparting customers with a distinct way of life at purchasing except any cash. Our cheap barcode scanners have been broadly used in quite a number of fields, like transportation, entertainment, retail, logistics, manufacturing etc. It basically entails each and every corner of life because of its comfort and efficiency. With such a "code" technology of life, Shangchen scanners have achieved people's favourite and large-scale application. From money to credit card to scanning code payment, cellular fee now not solely improves the cashier efficiency, but also reduces the error rate, and fantastically relieves the burden of the cash register. It is additionally clearly convenient for clients with doing away with the trouble of cash and wallets. For offline merchants, it is especially important to pick a 2D barcode scanning platform that can help each Alipay and WeChat. The SC-BOX QR code scanner is equipped with a remarkable 2D barcode engine. It uses great industrial-grade CMOS photograph technological know-how and shrewd photograph attention device for accurate and speedy scanning. When the cellular payment code is close, it will scan automatically. And it like minded with a number of money registers systems. Also, SC-BOX helps voice prompts and display screen show functions, which notably decorate the purchaser journey at cellular payment. SC-BOX can be wildly used in retail, supermarket, catering, public transportation, parking, schools and different scenarios, additionally self-service checkout applications. Effective inventory management is a cornerstone for the success of retail stores such as convenience stores and supermarkets. In order to improve the efficiency and customer satisfaction of convenience stores, supermarkets and other retail industries, two different kinds of barcode scanning equipment used in supermarket, hands-free scanners, which also called fixed scanners, desktop barcode scanners, barcode scanning platform for cash registers. Another one is mobile data terminals also known as data collectors, inventory PDAs which have wireless network connectivity, large memory, and low power consumption, assistants to quickly read and complete inventory information. 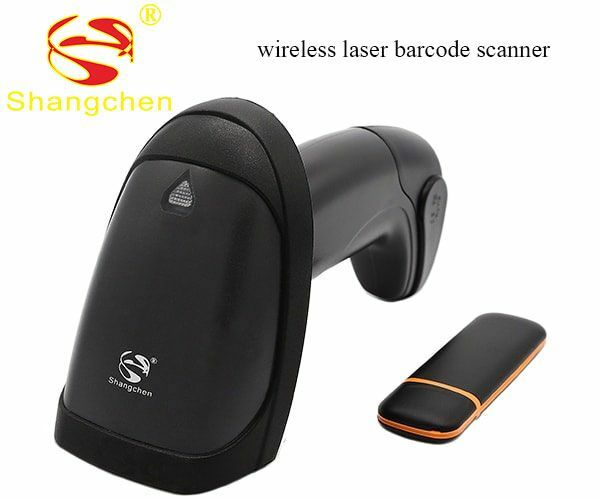 Guangzhou Shangchen Electronics Co., Ltd., which specializes in the manufacture of barcode scanners and IOT equipment, was established in June 2008. Relying on strong technical strength and perfect service system, we have won the recognition and trust of our customers with diversified products, excellent performance and fast service. After more than 10 years of development and improvement, the products have been exported all over the world.